A man has been sentenced to eight years in prison for modern slavery offences, where the victims were given allowances of just £20-30 a week despite working full time on a farm. The court heard how 43-year-old Sajmon Brzezinski had trafficked a vulnerable man to Nottingham and forced him to work to fund his lavish lifestyle. He had also tricked another vulnerable man - who considered himself a member of his family after being taken from an orphanage - into handing over most of the money he earned on the farm. Meanwhile, Brzezinski’s home in Poland was a "palace" with 50 windows, and he owned more than five cars and four properties in Nottingham - despite not having worked for the last five years. He was arrested after the worker told his line manager about the situation at the farm’s Christmas party. Bosses at the farm reported it, which led to an investigation by Nottinghamshire Police and the Gangmasters and Labour Abuse Authority (GLAA). The court also heard that Brzezinski had tricked the other man into handing over most of the money he earned - he worked at Sports Direct and later the farm too. 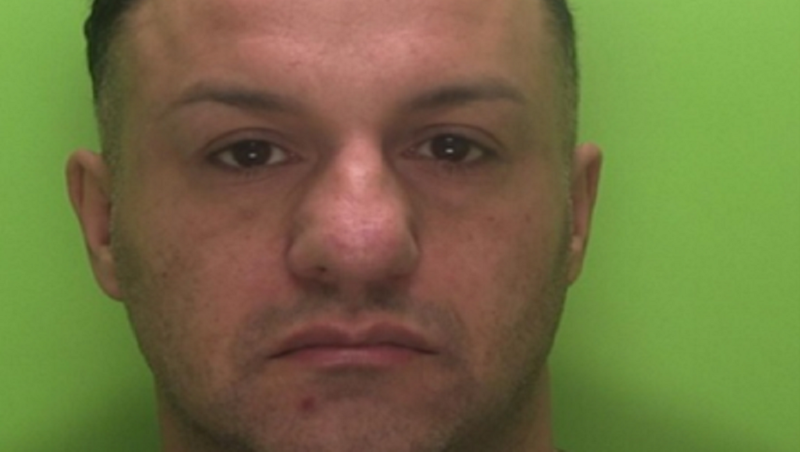 Sajmon Brzezinski admitted human trafficking, two counts of forced labour and fraud at Nottingham Crown Court. On sentencing him, Judge Stuart Rafferty QC said: "By your persistent criminal activities you have degraded the lives of two men who were not strangers to you, which in some ways makes what you did even more reprehensible." Brzezinski was also given a slavery and trafficking prevention order to stop him from committing any similar offences in the future.